The Athaan in the Bull City: Building Durham’s Islamic Community tells the little-known story of the growth of the Islamic community in Durham, North Carolina. Drawing upon his own knowledge of the founding and development of Jamaat Ibad Ar-Rahman, Inc., Nazeeh Z. Abdul-Hakeem, the organization’s principal founder, draws together personal recollections and the details of Durham’s major Islamic organization to tell about Durham’s burgeoning Islamic community. 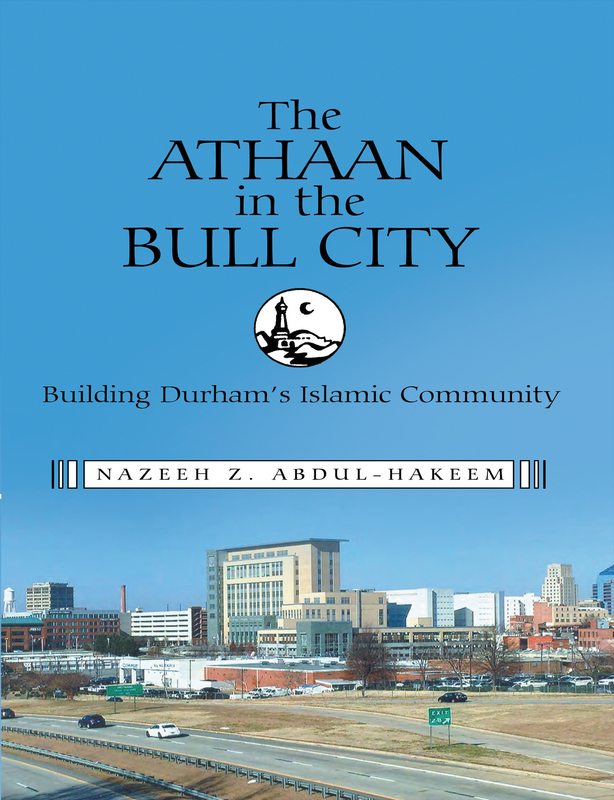 Reaching back across the community’s history of more than thirty years, The Athaan in the Bull City recounts how Islam’s foundations in Durham rest upon the lives of Black American Muslims. With the passing of years, the community has grown and has changed, as arriving immigrants, Muslims from around the world, have given the community a decidedly international perspective and outlook. The Athaan in the Bull City will appeal to all who desire to learn more about the establishment and growth of Muslim communities in American cities and to those who seek to grow more familiar with the history of Durham and its people. If you find yourself in one of those groups, or if you are simply curious about the diversity woven into the tapestry of the American religious experience, then The Athaan in the Bull City will satisfy your yearnings for discovery. Copyright © 2015. Nazeeh Z. Abdul-Hakeem. All rights reserved.